October 25th is a special day for me. In 1999 on this very date I ran my first marathon. Six months earlier I signed up with the Arthritis Foundation’s program Joints In Motion to run a marathon in Dublin, Ireland. I fund raised for the foundation and they trained me to run a marathon. Little did I know it would be a life changing event. Since that day I have completed six marathons, with my seventh to take place is five and a half weeks. 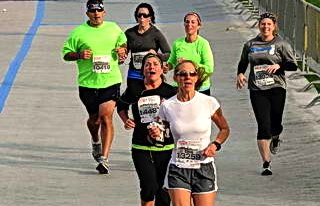 As for other races – there have been countless 5Ks, four or five 10Ks, 11 half marathons, eleven 5 miles races, six 5.25 mile races, one 15K, at least 10 sprint triathlons, two olympic triathlons, and four half iron triathlons. All this from the marathon I ran thirteen years ago today that planted the seed for all of the rest. 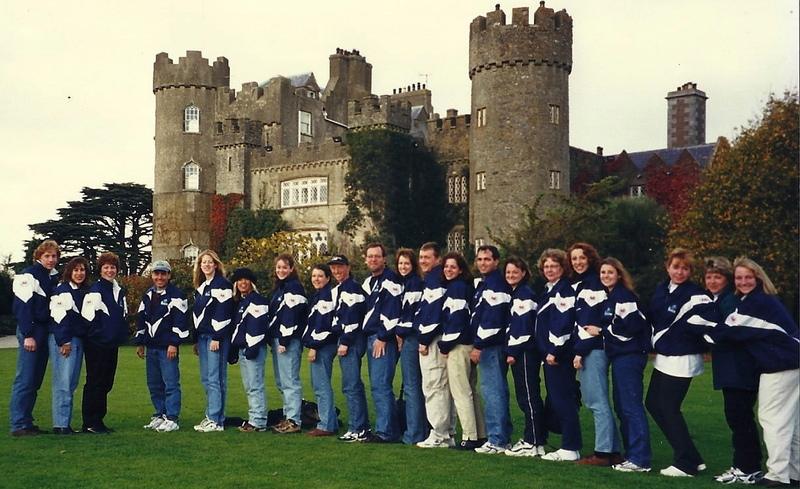 My training team in Dublin, Ireland 1999. This was taken the day after we completed the marathon. Not only did I add a huge dimension of fitness and racing to my life, but I have also made life long friends. I still keep in touch with several of the people I met training for the 1999 marathon, along with others I met the year after, and quite a few more along the way. Endurance sports attracts an interesting group. I have met people from all walks of life and each has something valuable to add to the benefit of knowing them. While running and triathlon are considered individual competitor sports, it is far from an isolated sport. There is always someone my pace, faster, and slower. We encourage one another along the way, celebrate each other’s victories, and have compassion when things don’t go as well as expected. I have found wonderful friends along this journey. To celebrate my anniversary I swam this morning. Thursdays are my active recovery days so I swam a 3,000 meter endurance workout. One thing I want to work on is pacing. I have a strong 100 meter pace, however it diminishes when I swim 200 and 400 meter repeats. Saturday I have a pace workout planned that focuses on maintaining a consistent pace regardless of distance. See, even after thirteen years, there is always something to learn, something to improve upon. Transformation is always taking place. See below. Great post elisariva! And congrats on all those marathons (and the other races too). I’m fairly new to running and I’m doing my best to reach the 5k mark, but I’m going to keep trying and trying! A big thanks for doing the marathon with the Arthritis Foundation, I suffer from a form of arthritis myself and charities like that are a fantastic cause. Thank you! My mother had rheumatoid arthritis for over 35 years before she passed away. The Arthritis Foundation is dear to me. Thank you. You never know where an adventure will take you! Super Job!! It is amazing what an accomplishment like this does to our heart and soul! Keep it up! And have fun at the marathon coming up!! 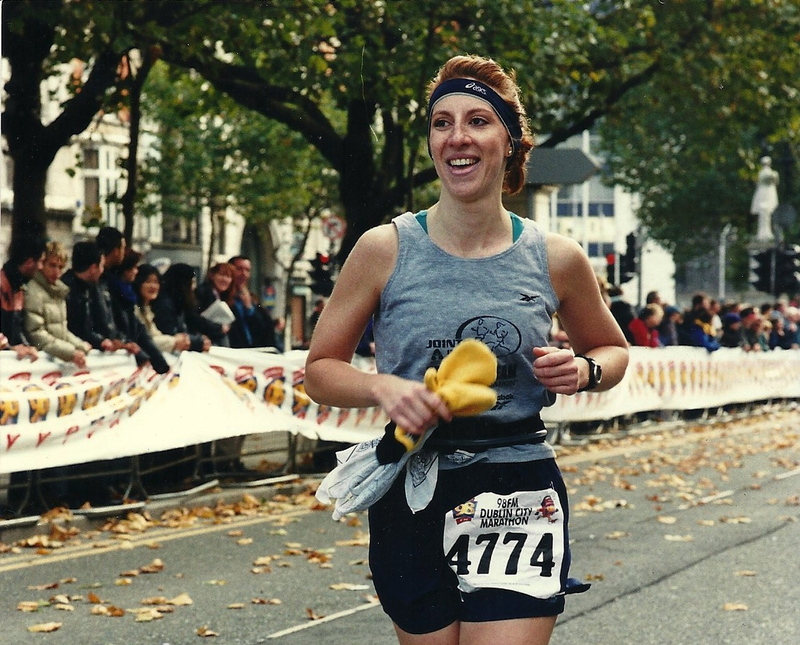 I hope to look back on my first marathon one day with all those other races under my belt too! I am sure you will! I didn’t start until I was 33, you are younger now than I was. By the time you are my age you will surpass me!